The history of the brand Challenger began in the distant 1890, when two American inventors Benjamin Holt (Benjamin Holt) and Daniel Best (Daniel Best) decided to experiment with the use in agriculture of machines on steam traction. Daniel Best began his experiment, for the first time in the world using a steam engine on tractors. The first tractors, which appeared in 1889, proved to be very cumbersome and heavy, constantly bogged down in soft soil. It was necessary to somehow solve the problem. The second inventor, Benjamin Holt, proposed to increase the contact area of the tractor with the ground and suggested replacing the wheels with tracks. The already modernized tractor was tested in 1904, and after a while Holt registered the brand Caterpillar, produced in its own production Holt Manufacturing Company. Above the name of the brand, which later became legendary, he did not hesitate for a long time: caterpillar - this is the caterpillar in English. A real breakthrough occurred in the company in 1909, when caterpillar tractors began to be equipped with gasoline engines instead of steam engines. That's what made the brand famous. Almost at the same time, in 1910, the son of Daniel Best, Clarence Leo Best, creates his own company and begins the production of wheeled tractors with gasoline engines. Twelve years later, in 1925, Holt Manufacturing Company and C. L. Best Tractor Company decided to join forces and set up a new company, Caterpillar Tractor Company. The production was constantly developing, the inventors reached new heights. In 1987, there was a truly revolutionary breakthrough - the newest high-speed crawler tractor, named Caterpillar Challenger , was invented. At the same time, the Challenger brand appears, which is destined to become a legend of tractor construction. Since then, the range of equipment produced under the brand name Challenger has expanded significantly and has been enlarged with wheeled tractors, combines, feed technology, self-propelled sprayers and fertilizer spreaders, tillage machines and attachments. Each unit of technology has its long history of success. The Challenger brand combines the best models of agricultural machinery that can satisfy the needs of both small farms and large agro-industrial holdings. Having a rich history and decades of experience, the Challenger brand continues to expand. Today, it unites a full range of modern and high-performance agricultural equipment. Many models of Challenger cars are equipped with fully integrated automatic steering systems Autoguide, telemetry, GTA farm management system, which allows even more efficiently to build the work of agricultural enterprises. Challenger's goal is to partner with farmers and farmers around the world to help them increase the efficiency, productivity and profitability of the business. Each machine, represented in the range of Challenger tracked tractors, has high traction and performance characteristics in its class. The use of the patented Mobil Truck ™ track system and rubber-reinforced tracks ensures high productivity and low ground pressure, ensuring a gentle attitude to the soil by significantly reducing its compaction. 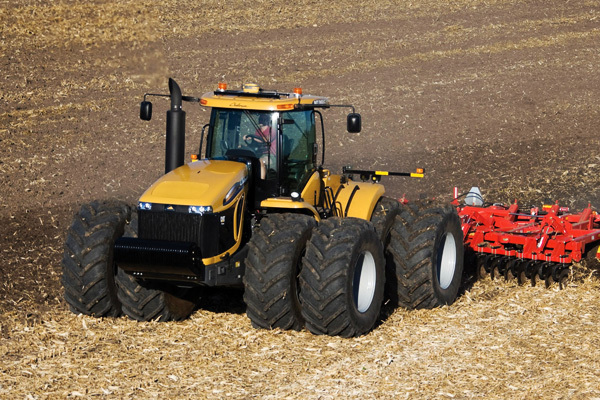 Thanks to the large contact spot, tracked tractors provide a smaller percentage of slippage, allow greater field return and lower costs compared to wheeled tractors of similar power. 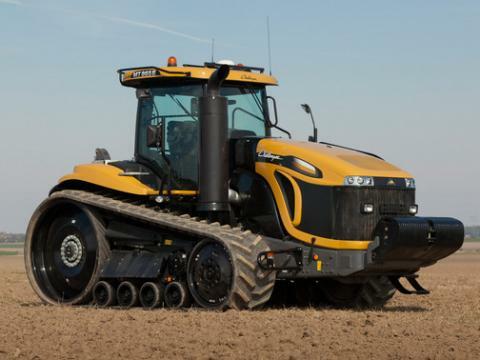 The performance of the Challenger tracked tractors can be described as phenomenal: many customers have come to the conclusion that one tractor can replace several wheeled vehicles, while maintaining - or even increasing - the overall productivity of the enterprise. And on this Challenger is not going to stop.